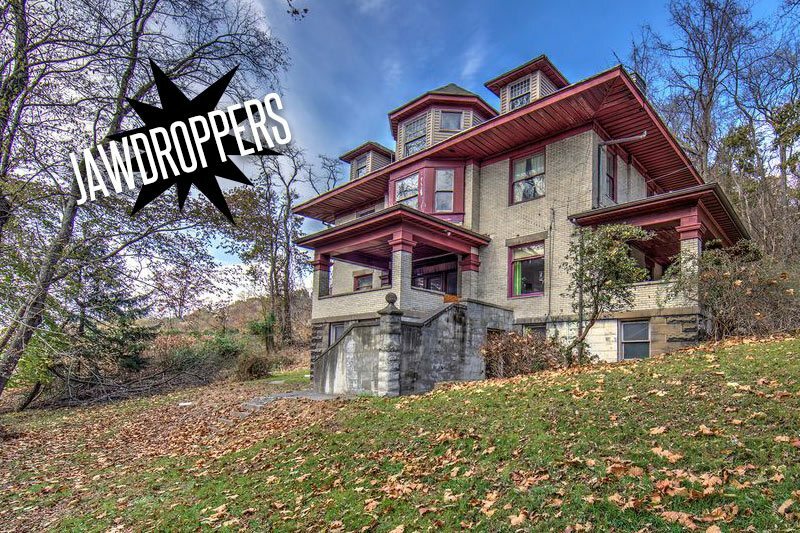 A Gothic Victorian Fixer-Upper in Rockford Illinois! Today I thought we’d travel to Rockford, Illinois to dream about fixing up this Victorian Gothic beauty selling for just $32,500! Don’t you just love that woodwork at the front gable? And that tower? The home sits on a corner lot in the Haight Village Historic District, which means it’s surrounded by lots of other great old houses. Trust me, I checked! This particular Rockford peach (had to sneak in an A League of Their Own reference) comes with over 3,700 square feet, and was built in 1883 for Judge William Brown. And just who was Judge Brown? Well, the National Register report (available HERE as a PDF) recognizes him and his family as “perhaps the best examples of the leaders of industry, commerce and government that chose to build homes in Haight Village during the period from 1880 to 1895”. He held several positions in public office and served as mayor in 1857. By the time he had this large, expensive house built, he was a circuit court judge. This house certainly has deep roots in Rockford history. Actually, his two sons also built homes just a few doors down at 312 and 320 South Third Street. Bonus: those homes are still around! I love learning about those kinds of family connections. There aren’t too many photos of the inside of the house, but I love some of the details shown here. I’ll never turn down a beautiful built-in like the one above, that’s for sure. I wish there was a close-up of that stained glass window. It looks amazing! And the arched bay window and historic moldings add great character to this room, too. I’m not sure what this room was designed for, but it really does look stately with that paneling. I’m hoping that someone comes along and fixes up this house. If it’s charming me in its current condition, I just know it could be a stunning part of this historic district with the right vision from a loving homeowner! This is my childhood home! So wonderful to see it shown in a great “hopeful” light! My mother grew up in the house and then she and my father bought it. One summer my dad painted the entire house green – house painting was his gig while he finished his degrees. The top picture, and the one with the fireplace are both upstairs in an area we rented out as an apartment for some time – with it’s own kitchenette and bathroom. The area with the built in goes into a butler pantry that we used to play in when I was little.The stained glass IS a beautiful piece of work, and the nook to it’s right is where we used to have our Christmas tree year after year. The way the light would shine in through both areas was always so beautiful in the summer, giving life to the room. The room with the bookcases is the library, and doubled as my parents’ bedroom at the time. There was a small bathroom between it and the kitchen, where my height was recorded on the wall. Ah, the memories. Thanks for posting my old house. That’s not paneling, it’s paint, and it’s the parlor room! This is a beautiful home, I’m dying over the price. My aunt grew up in this home, and owned it into the 90’s. It’s a true gem. Thanks Toni, I corrected it! It’s so wonderful to hear from people who know the house first-hand. It’s just spectacular! So, my boyfriend & I bought this house! Here’s a close up of the stained glass in the living room! Funerals used to be held in this parlor, so they would place the casket under this window. We’re updating & finishing a bunch in this house, if you’re ever curious or interested in showing progress. The front room, as we call it, with the plaster has been painted black and we’ve kept the plaster at a really light grey. We’ve also updated appliances, are re-finishing the first floor bathroom and are painting the rooms to fit our style. We are, however, very interested in the history and keeping as much there as we can. And to add to it, the last owner built a skate park in the attic! 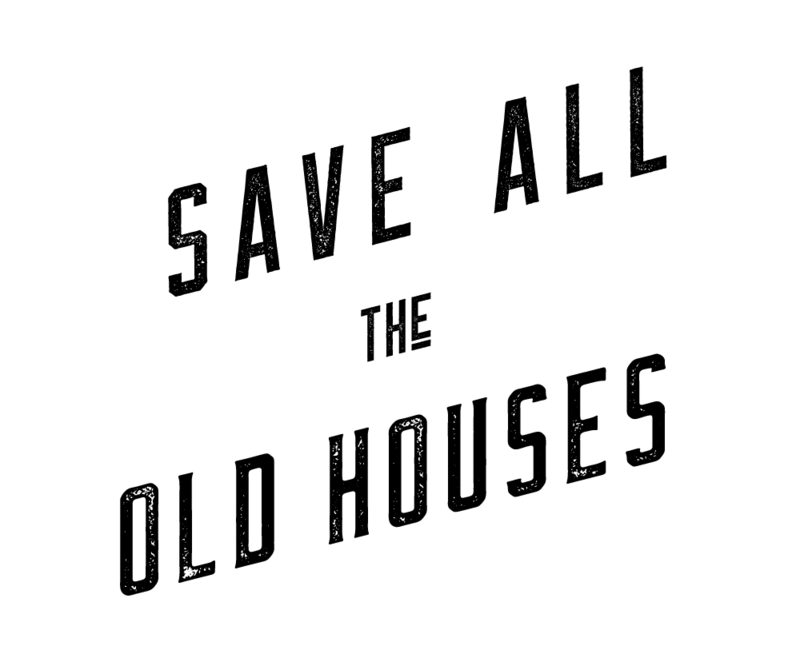 We’d love to hear stories & see photos if she has any, we’re very into the history of the home! I’d love to hear stories or see photos if you have any, we’re so interested in learning the history of our new home! Me, my Mom, my sister & step-dad lived there from 2002-2004. I loved that house. We put in a chandelier in the front foyer. Fixed a room on 2nd floor room that had a partial ceiling collapse due to a roof leaking. Paid somebody to fix the roof. We replaced furnace in attic and basement. Leaving in the old boiler. Just disconnecting. Leaving the radiators in due show. And we added an exhaust fan in the attic. And then cleaned out the attic because all the windows were broke and birds do what birds do. It was a nasty mess. My step-dad also removed the top of part the porch because it was covering up half of the stairway stain-glassed window, but never for around to fixing it. The owners after that finished it, as we drove by it every now and then. I still drive by it 11 years later as i now live close by. I loved the sound proof walls. I could play my music as loud as I want and my mom could be sleeping across the all in the master room and not even hear it. My mom had to sell the house in 2004 I believe it was because my step-dad died. And we couldn’t afford mortgage, utilities & repairs. Hello. I’m the boyfriend of Britney that posted a year ago. We would love to see any photos of the inside if any previous tenants. I plan to start a blog for the house and post all the crazy projects we start doing. So far we have painted the first floor and almost have the 1st floor full bath remodeled. Spring will start the exciting adventure into the exterior. New roof and start fixing and repairing the wood. Its a very exciting house and has so much history.